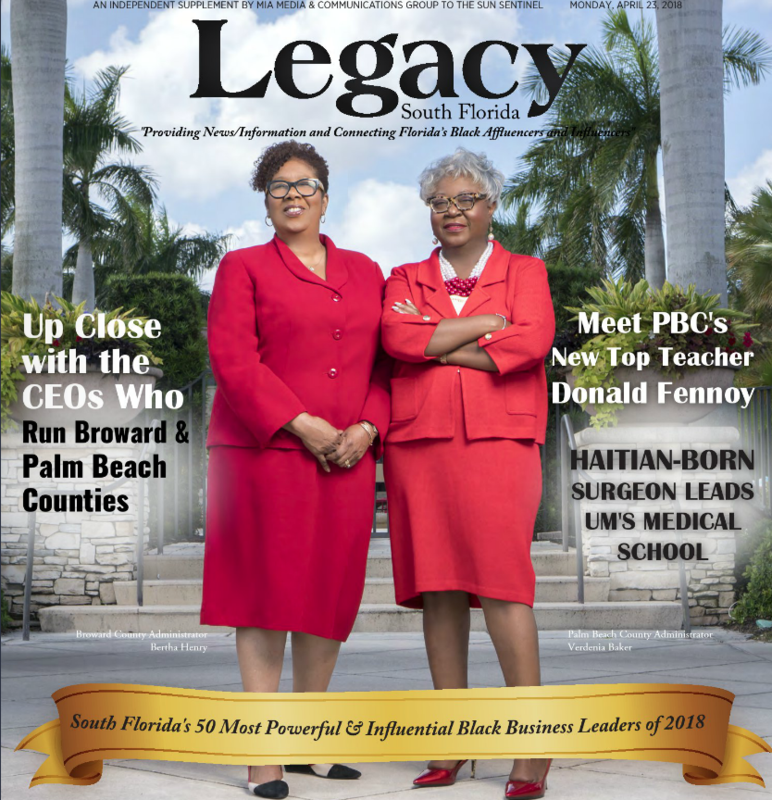 Broward County Commissioner Barbara Sharief is pleased to announce the publication of an article in the April 2018 issue of Legacy South Florida. The issue is a special edition dedicated to the celebration of power and leadership among the South Florida community. Specifically, it honors South Florida’s 50 most powerful and influential black business leaders. Ms. Sharief’s article includes a dedication to the abilities of women to multitask in the business world. 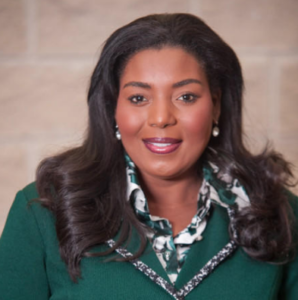 The article focuses on the relationship between power and leadership as it applies to women endeavoring to start their own businesses or expand their professional lives in the rich and challenging South Florida business world. Commissioner Sharief is a former two-time Broward County mayor with a wealth of experience as both a political figure and an entrepreneur. She has been recognized by many for her service to Broward County as mayor and for her successful leadership as a business owner. Her involvement within the public and private sectors of one of the largest and most prosperous counties in the nation has made her a politician to watch in 2020 and beyond. Legacy South Florida is a business and lifestyle monthly magazine that provides readers with engaging profiles of today’s business leaders, entrepreneurs and philanthropists. 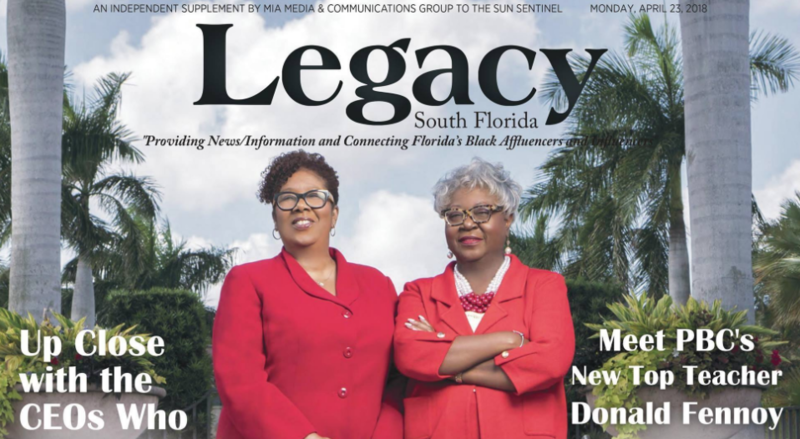 The magazine’s masthead describes it’s mission as a publication that ““Provides News and Information to Florida’s Black Affluencers and Influencers.” It is an independent supplement by Mia Media & Communications Group that appears regularly in the South Florida Sun Sentinel. For more information about Barbara Sharief visit her official website at barbarasharief.com. For more information about Legacy South Florida visit their official Facebook page. Mario Hertzel is a writer based in London. He writes about trends and personalities on the fringe edge of technology and business. He is also a collector of rare books.